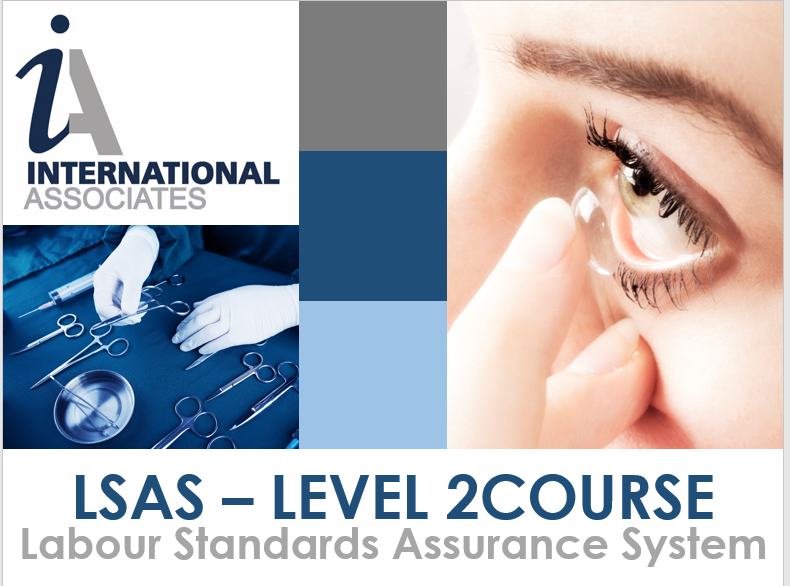 International Associates is a leading eLearning training course providers within the field of Labour Standards and Quality Management systems. The courses are professionally developed by competent tutors and subject matter experts. eLearning has the advantage of delivering excellent content in a convenient format that can be done at your own pace. All of our courses have been designed and developed to help your staff build on their skills and apply their knowledge more effectively in the work place. Below are the courses that are currently available. Please use the contact us form to sign up for any of the courses. We are also able to offer bulk discounts for multiple users. Here is an excerpt from one of our online eLearning courses. 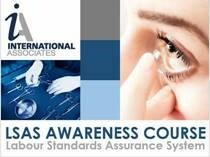 The objectives of this course are to give you an introduction to the LSAS. Explains the system and its structure including an overview of the requirements. The course is split into four modules covering a general introduction where we will look at the history and background as to why the system was introduced. A general look at the system itself, its objectives and the fundamentals of what is involved. The structure of the document, how it should be implemented and the timelines. And finally, we will look at the action plan matrix and finally give you some details of where to find additional information. And finally we will look at the action plan points. The objectives of this course are to give you an introduction on how to implement initial stage of the system at level 2. The course is split into for modules covering both the structure and timelines. It also covered practical detail of the implementation process. And finally we will look at the action plan points that will be required to achieve Level 2. 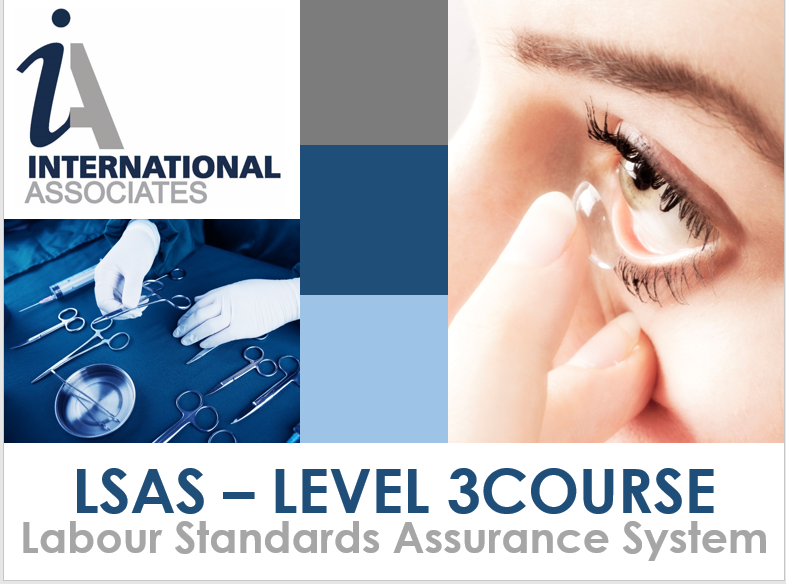 In Order to meet level 3 suppliers show a robust system for managing labour standards is in place. There is evidence of an established implementation system working over time and risk is being effectively mitigated where uncovered. This is a more action-oriented level of compliance. This Module will give practical information as to what is required to meet this requirement. Suppliers have to demonstrate leadership level management of labour standards. Where the supplier is going beyond audit to tackle the root cause of issues and risk uncovered and is engaging with key stakeholders, partnerships and projects to do so. 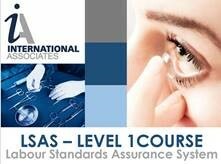 Thsi course gives detailed information on how to achieve level 4 compliance. The Modern Slavery Act was introduced in 2015 to set out requirements for companies meeting specific criteria such as a turnover limits, to ensure that those companies meet their obligations to eliminate Modern Slavery in their supply chains. Whilst some companies are complying there are many that have still not met the minimum requirements for compliance. There are also many that have issued policy statements however they have not actually conducted any actions leaving themselves open to prosecution under the Act. The objectives of this course are to give practical guidance on the methods that can be adopted to ensure legal compliance with the legislation. In this course you will learn the requirements of this standard and its intent, applicability, precise interpretations from an auditors and an environmental professional’s point of view. This standard is focused in mitigating the potential environmental impacts of an organisation and respond promptly to the changing environmental conditions which would affect its business and socio-economic climate. In addition, the standard would enable organisations to systematically analyse and comply with applicable legal and other requirements as well as enhance environmental performance. This course contains 10 chapters. Chapter 2: Clause 1 – Scope, Clause 2 – Normative Reference, Clause 3 -Terms and Definitions. Devices The e-learning course can be viewed on a laptop, desktop computer, and smart devices such as tablets and smart phones. On a tablet or laptop, you can increase or decrease the viewing size by the “touch screen” or the traditional way by clicking “control and plus key” or “control and minus key”. Intellectual Property All materials on this platform are owned by International Associates. No part of this eLearning may be reproduced, copied or utilised in any form or by any means, electronically or mechanically, including photocopying, posting on the internet or intranet. Distribution, reproduction and selling of the materials or any part is strictly prohibited. Legal actions will be applied as per existing local law.